12:30 - 2:00 PM Potato Blossom Festival, Fort Fairfield, ME - Show cancelled. Proceeds to benefit Caffe Lena. With Derek Kidd, Ed Mullen and Matt Carl. For more information, visit the Lightfoot Tribute Band web site. A sellout - thank you! Check back for pictures. Proceeds to benefit Caffe Lena. With Derek Kidd, Ed Mullen and Matt Carl. For more information, visit the Lightfoot Tribute Band web site.Another packed audience and another great show. 3 to 5 PM Potato Blossom Festival, Fort Fairfield, ME - In the Food Court. Cathy will perform songs of the great singer/songwriters like Bob Dylan, Paul Simon, Jim Croce, Eric Clapton, and Dan Fogelberg, and her favorite, Canadian songwriter Gordon Lightfoot. 8 PM Pequot Library Auditorium, 720 Pequot Avenue, Southport, CT - Cathy performs in a split bill with Saratoga singer/songwriter Michael Jerling. Cathy will perform songs of the great singer/songwriters like Bob Dylan, Paul Simon, Jim Croce, Eric Clapton, and Dan Fogelberg, and her favorite, Canadian songwriter Gordon Lightfoot. Michael performs his original songs - you'll find him witty and engaging, with a unique style and an amazing catalogue of original songs. He released his fifth CD just last year, and had one of his own songs included on the Smithsonian Folkways "Fast Folk" CDs, alongside of well known artists like Shawn Colvin, Suzanne Vega, Steve Forbert, Christine Lavin, John Gorka, and Lucy Kaplansky. For directions click here. For info, e-mail Valerie Magee at webmaster@cathycowette.com. 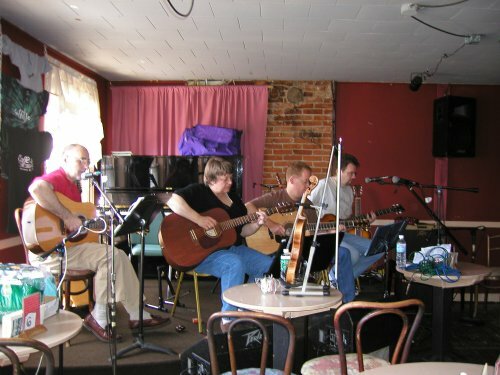 7:30 PM Stone Soup Coffeehouse, Amherst, MA - Cathy will perform songs of the great singer/songwriters like Bob Dylan, Paul Simon, Jim Croce, Eric Clapton, and Dan Fogelberg, and her favorite, Canadian songwriter Gordon Lightfoot. No admission charge or reservations; suggested donation for performer $10. For more about Stone Soup, and for directions, see their web site (link above). 7:30 PM Medina Stone Farm, Medina, NY - Cathy will perform songs of the great singer/songwriters like Bob Dylan, Paul Simon, Jim Croce, Eric Clapton, and Dan Fogelberg, with a special tribute to the great Canadian songwriter Gordon Lightfoot. 7 PM Roselawn Centre, Port Colborne, ON - Cathy will perform a tribute to the great singer/songwriters like Bob Dylan, Paul Simon, Jim Croce, Eric Clapton, and Dan Fogelberg, with a full second set of tunes from the great Canadian songwriter Gordon Lightfoot. Country artist Debbie Bayshaw will open. Roselawn Centre phone number 905-834-7572. Read review. 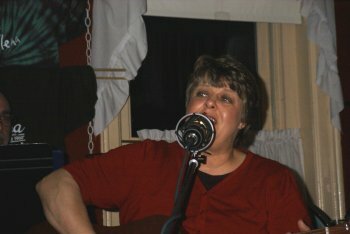 7 PM Caffe Lena, Saratoga Springs, NY - Cathy returns to Caffe Lena to do a solo gig. If you are interested in booking Cathy, contact me - Valerie Magee - at the address on the Contacts page.